Laura Shin recently reported in Forbes that 55 percent of American’s plan to skip Black Friday. The ‘holiday’, with crowds, long line-ups, and competitive shoppers does have a hard-core customer base. One in five shoppers report they have never missed a Friday. And they are willing to wait in line ad average of 2.5 hours. Nothing says 'customer service' like a 2.5 hour wait. Bloomberg’s Joshua Brustein made a good argument to get rid of the retail event altogether. On top of the decreased margins and customer service, Black Friday is an unreliable predictor of things to come for the holiday season. The Wall Street Journal’s Jo Craven McGinty uncovers a more accurate measure. After reporting a profitable quarter for the first time in a year, Best Buy has launched their cheeky "Your Ultimate Holiday Showroom" campaign. It invites shoppers to come in-store and engage in a bit of showrooming, the practise which industry analysts insisted would kill their business. Theoretically, Best Buy is hoping that once customers are in-store, even with the intent to showroom, they will buy. The retailer has also made significant strides in offering product which was previously unavailable in their stores. Partnerships with Google and Amazon (featuring the Kindle) show a renewed sense of strength and focus on the customer at Best Buy. A firm price-matching policy should eliminate any parity concerns customers have (also, Amazon now has to collect sales tax from customers in many states eliminating any pricing differential there). Best Best is set to have a great holiday season. Macy's is coming off of comp store increases of 3.5 percent for Q3, with womenswear contributing to that growth for the first time in 3 years. The company has tweaked their marketing to include better discounts on fresh merchandise, and clearer messaging. Enhanced fulfillment centres is the other aspect the company is attributing their strong results to. 500 Macy's stores are equipped for shipping. But it is their mobile strategy which is particularly interesting. Through December 7, customers who post a photo or video of themselves mailing a letter to Santa from inside the store (using hashtag #MacysBelieve) may be included in their Christmas Day commercial. "By encouraging social sharing of these special moments, Macy's is taking a step in bridging the gap between amazing brick and mortar customer experiences and our online worlds", said Leslie Poston from Flightpath. Their accompanying optimized microsite for Believe will also encourage customers to text JOIN to receive holiday updates - which we know the Macy's customer loves. Traffic in Macy's stores typically spikes 60 percent leading up to Christmas, which is about 20 to 30 percent more than the average retailer. 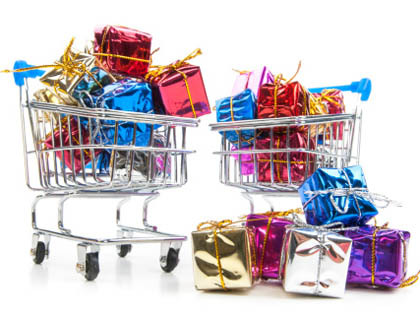 Despite the outrage expressed by many consumers at seeing decorations in-store prior to Thanksgiving (in the US), holiday shopping actually begins as early as October. PayPal, who processes 20 percent of the world's ecommerce transactions, indicated that in 2012 it actually began September 30. Retailers certainly have merchandise in-store at that time, and begin offering up aggressive promotions which are "too good to pass up". American business leaders have spent much time talking about the fewer days between Thanksgiving and Christmas this year, and its expected negative impact on sales. But based on the data that suggests consumers are already buying before Black Friday, perhaps 6 fewer days will have little to no impact? Sign-up for The Weekly newsletter if you like what you read here. For retailers, reps and buyers.